I really admire her work. I also found that she uses gold highlights on her figures. I think that the gold adds to the fairy tail imagery and also a slight lining of her imagination. Theses are just a few simple sketches I have done. I was hoping by doing basic yet anatomical designs that I would have a better understanding for modeling the hares. This year I have had a chance to really work on my ceramic skills. I feel that I was quite inexperienced for a university level. I am resisting the year as last year I did not do so well and was for too inexperienced and unfocused. I feel that having this second chance has been really working in my favour this years I am more motivated and willing to succeed. Before starting this course the only real skills I had in ceramics was sculptural skills such as slab building and coiling. During this past year and even my first try last year I have definitely improved in many aspects. I was introduced to throwing this year. I was not at all skilled in this particular subject but had many chances to practice throughout the three terms. I started on just practicing centering and creating basic form. Now my skills have improved quite a lot and I can now think about creating more advanced work such as playing around with form, texture and size. Along with throwing I have also been able to build up on my turning skills. 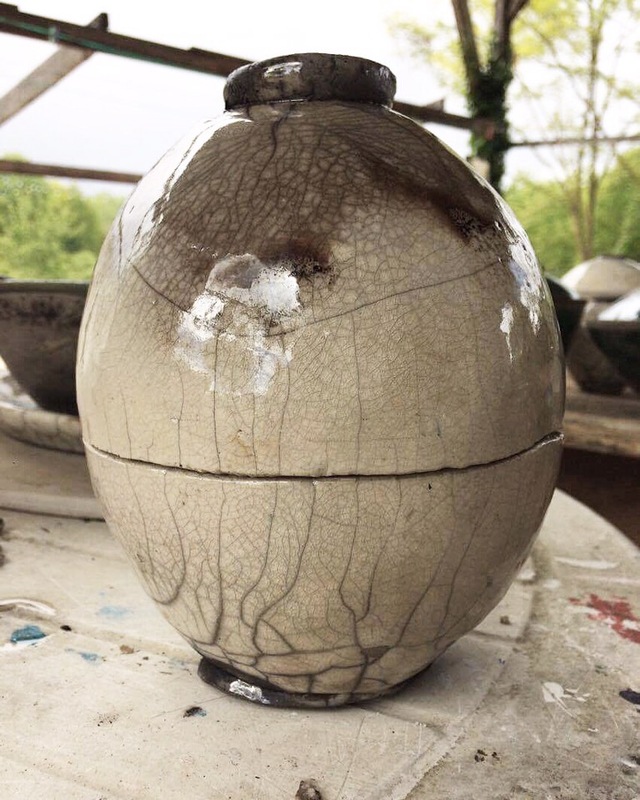 I sometimes enjoy turning more than basic throwing as this technique can really improve a thrown vessel and turn it into a whole new piece of work if applied correctly. During this academic year we have been given many different tasks and projects to work on. The majority of our projects have been given through our subject module. This module focuses most on our practical work and ceramic skill base. This is the module I have enjoyed over all as I feel it is most relevant to the course. I have been able to develope on my sculptural work a lot more being as I have been able to practice and explore many new skills surrounding ceramics, throwing being one and also mould making in plaster so I can now create casts soi can accurately duplicate work, decorative skills so I can make the surface of any body of work far more interesting with the aid of glazes and slips which I have been taught to create myself during workshops in the well equipped glaze room. 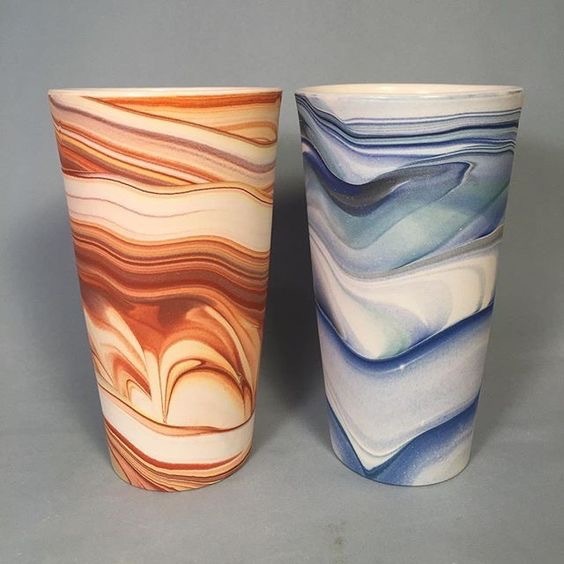 I have also been shown many different firing techniques such as electric firing, raku firing and saggar firing which all finish the art work with different results. Constellation is the academic side of this course. We had a choice of two different subjects during this module. I chose “Smells like teen spirit” for the first term and “New materialism” for the second term. My first term subject I found a lot easier to understand. It was looking at the studies of subculture in fashion and how they came about. It was a pretty straight forward module and very relatable as it focuses on something looked upon in everyday situations and I could easily involve it into my artwork. My second term although still quite interesting, was not quite as understandable. We looked at the deeper meaning of perception and how we interact with objects. We looked at how our senses affect the world around as and our perception of it. I thought that this subject was a lot harder to develope through my artwork. This was more of a team building subject. We were given a chance to work with other people around the art building and courses and were able to see how other people would practice there work and also how they were able to develope. It was an opportunity to work on problem solving skills with the view point of a different skill based artist. Although I did not find this module very helpful at all. I prefer to work on my own and I find it difficult to create art in a group project. I also found it stressful to produce a final project and presentation within a week. Over all this year has been a good experience for the developement of my work. It’s interesting for me to think of how well I have progressed during this year and also how far my work will go in the future. I really liked this method and effect so I’m going to do this again in my current project but this time I want to add more depth and meaning rather than just having a pretty finished piece. So what is the symbolic meaning of eggs throughout history? The egg has roughly the same symbolic meaning for humans from the begging to today, the representation of potential life. Many cultures believed the egg to be supernatural as its a symbol of rebirth and eventually immortality. It’s also a means to ensure fertility for some such as the Germans and Slavonics would smear eggs onto the skin of their “whores” to hopefully transfer the fertility to the soil. In Iran newlyweds would offer each other eggs. I want this meaning of life to show through my brief to make a centrepiece. I have an ostrich egg that I want to cast and I’m going to do so in a porcelain slip. My idea is to have it as a light feature, it will hold a candle which should really highlight the translucency of the porcelain. I also feel that the candle light would be a great medium to represent potential life. I want to show through the porcelain the purity and almost innocence of an egg and like the shell porcelain can be very delicate and fragile looking but also very strong. “With a background in chemistry and four years of work experience in science labs, I bring an experimental mindset to my artistic process. My work is constantly changing as I develop new tools in my experimentation in the studio. I am deeply fascinated by the underlying randomness in the patterns and structures of nature. Sean forest Roberts personal artist statement. His work is quite inperational for me as I’ll be working with slip in my next project brief and this is an almost simple yet effective process that will be helpful for me to reflect on.